Every time we visit a new country I try to get a feel for what life is really like for the people who live there. Maybe it’s a natural curiosity or a desire to break out of that tourist stereotype, but I’ve found there is always one sure fire way to get an honest perspective of life wherever you go: visit the local market. 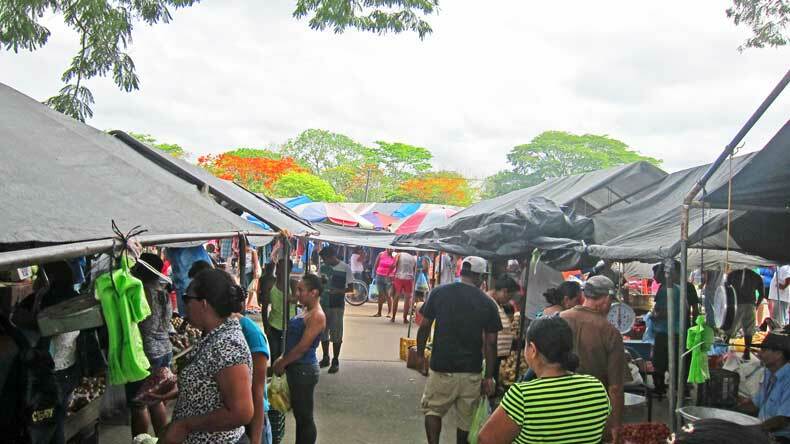 Most towns, particularly those in Latin American countries, seem to have a weekly market. Vendors will sell their handmade goods, farmers will bring their crops, and locals will come in from the surrounding villages, probably on a motorcycle, for a leisurely day. You’ll find people strolling through the makeshift aisles, haggling for a deal and occasionally stopping for street food or to visit with friends. They make a whole day of going to the market! This is a great place to see life as it truly is. Regardless of where we go, the local market always seems to be a vibrant place. The different smells, flavors, sounds and the overall energy at the market make for a fun experience. 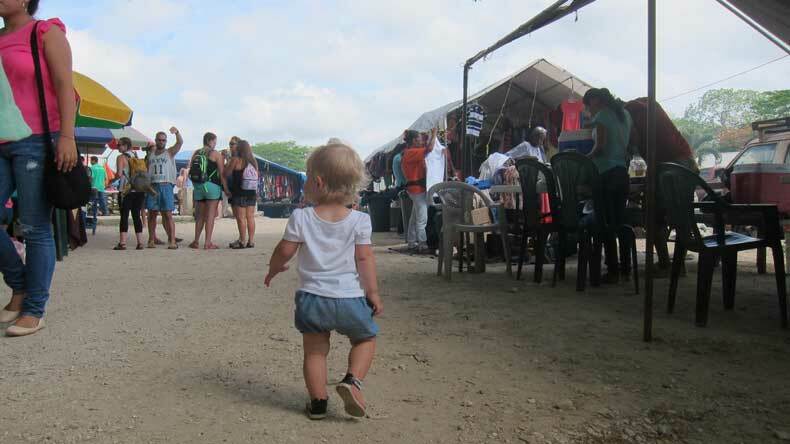 On a recent trip to Belize, we visited the San Ignacio market. Under low hanging tarps, vendors set up their tables of goods. Farmers spread their produce out on blankets on the ground. Everything looked amazing! We wandered through the market looking for a pair of shoes for our daughter and for any other unique gifts or souvenirs. We stopped to chat with one of the waiters we had a chance to meet earlier in the week. Our daughter, Avery, also enjoyed listening to a local karaoke singer who was providing entertainment. Avery waddled through the market fascinated by all the new sights. We followed along, letting her lead the way in her brand new shoes. We were equally fascinated by the market, mainly because it was truly authentic. It wasn’t catered to tourists. The goods the vendors were selling weren’t overpriced trinkets. In fact, it was the closest thing we could get to a real Belizean experience. If you’re interested, here’s a video of our walk through the San Ignacio market. Typically, when we are traveling we don’t get to spend much time in any given city. So the local markets always give us a chance to get a glimpse of actual life there in a very short amount of time. Someday, I’m sure we will travel slower, spend more time in one place and truly become immersed in the culture. 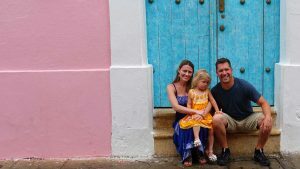 Unfortunately, the amount of vacation time Americans are allotted isn’t enough for us to travel that way. So for the time being, I seek out the local markets and other experiences that will give us a true taste of local life. What about you? How do you like to travel? And what places do you try to visit everywhere you go? 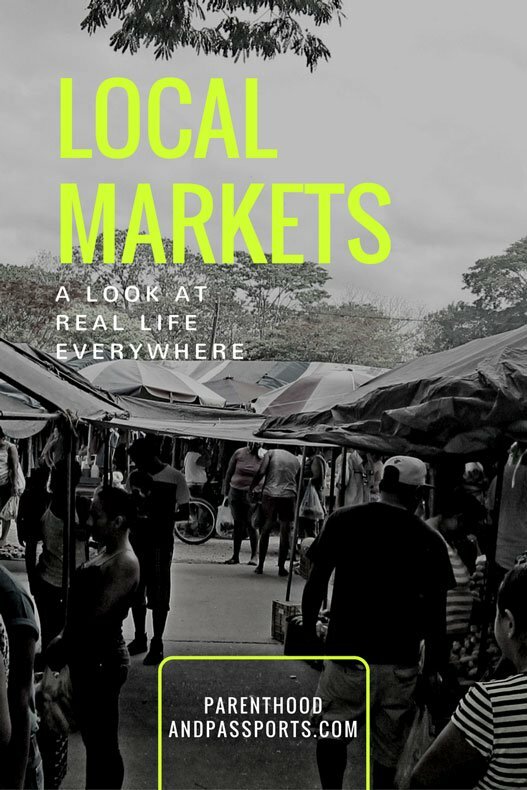 I agree with you about getting a local experience at markets – but you’ve got to choose the right ones! Some of them are big tourist hot spots now so there can be a few scams! Saying that, they’re usually fund to just people watch. I love going first thing in the morning (sometimes before the sun is even up) for a really authentic experience! I love local markets! Went to one in Cuzco and picked up an awesome alpaca sweater for $10US! Amazing food as well. Definitely worth checking out everywhere. Great article! Agreed, local flea markets are a great way to know about the local culture and local foods. I love visiting markets too. My favourite was one in Windhoek, Namibia where one of the girls working at our hostel picked out the best local food for us to try. We also got to see some kids dancing and a cattle parade! I love going to markets. They are always so lively and the best place to get to know the countries culture. Also great for finding great dishes. I do love a flea market! I went to an amazing one in Hamburg and the ones in India are awesome! Yess I adore local markets too. It’s good to be careful though in especially touristy places (like Marrakesh or Barcelona for instance) because often the really popular markets aren’t at all where the locals shop… and as a result, they’re a bit of a tourist trap. That said, when you find the real authentic places, it’s always such a delight to shop around. Visiting local markets in new cities is such a good way to experience the local culture! We have really nice farmers markets all over the city in Chicago in the summer, but in the winter most of these are closed because of the weather. A few are moved indoors, so it’s still possible to get fresh food year round. I love exploring any hidden gems in new cities.